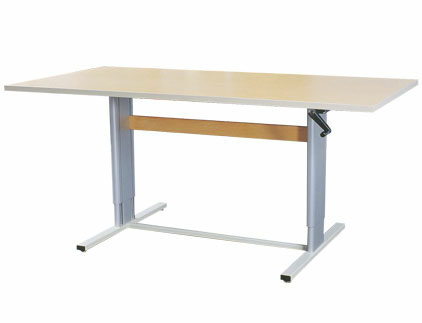 This Accella 7236 table with hand crank adjustment is a multifunction table that offers the ease of adjustability therapists require from a group therapy table. A lasting investment for your rehab facility, this solid, steady table is supported by a steel frame and metal telescoping legs. The table can seat 4-8 people comfortably. Please specify whether you’d like the hand crank positioned at the end of the table or along the length for use by therapist or patient. Accella 7236, 72" x 36"
Accella 4836GT, 48" x 36"
Accella 6648, 66" x 48"